Locally, the Nebraska Indian Community College collaborates and provides resources with the Omaha and Santee Sioux Nations directly for community development by providing quality higher education and lifelong educational opportunities for the Umonhon, Isanti, and other learners. Regionally, we pool resources and provide articulation with many universities such as the University of Nebraska and the University of South Dakota to expand student achievement. 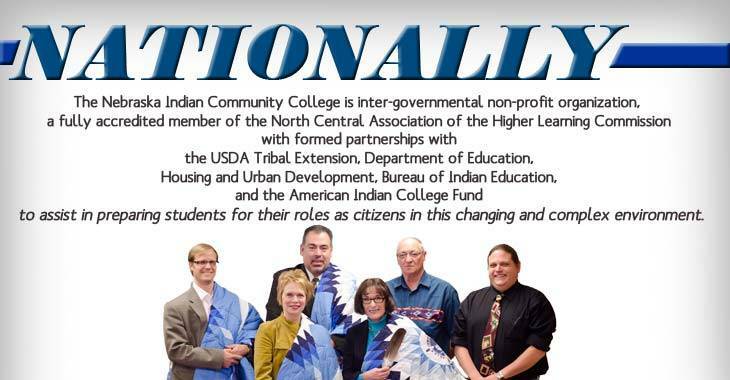 At a national level, The Nebraska Indian Community College is inter-governmental non-profit organization, a fully accredited member of the North Central Association of the Higher Learning Commission with formed partnerships with the USDA Tribal Extension, Department of Education, Housing and Urban Development, Bureau of Indian Education, and the American Indian College Fund to assist in preparing students for their roles as citizens in this changing and complex environment. The main obstacle that inhibits the fulfillment of our mission is consistent poverty faced upon these two Nations. 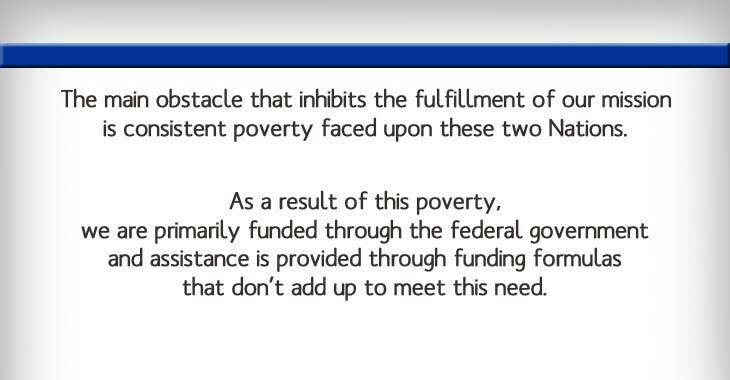 As a result of this poverty, we are primarily funded through the federal government and assistance is provided through funding formulas that don’t add up to meet this need. This support is often highly restrictive and subject to commitment terms many times lasting less than a year. Federal policy through this standard approach of community development makes long term sustainability impractical. 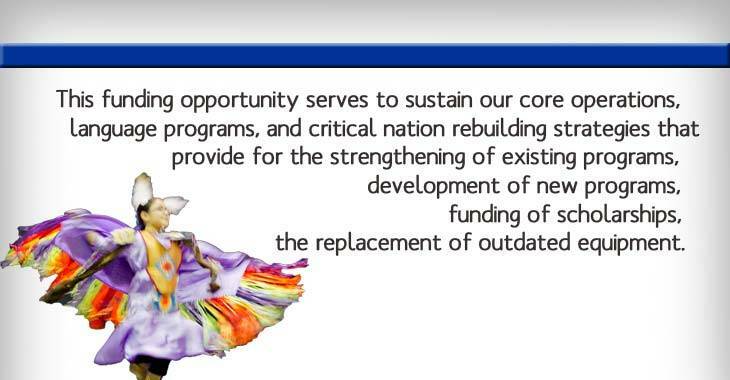 This funding opportunity serves to sustain our core operations, language programs, and critical nation rebuilding strategies that provide for the strengthening of existing programs, development of new programs, funding of scholarships, and the replacement of outdated equipment. 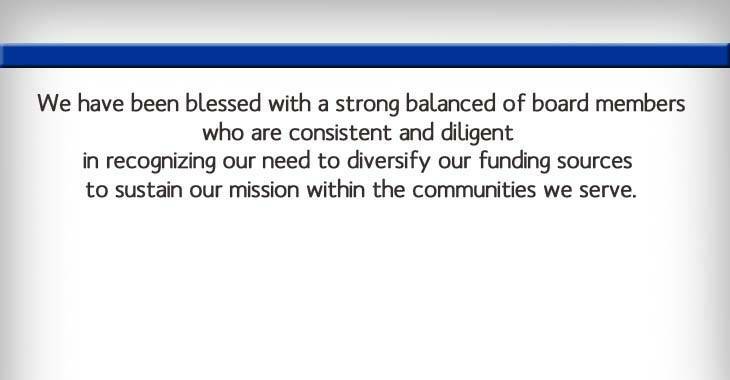 We have been blessed with a strong balanced of board members who are consistent and diligent in recognizing our need to diversify our funding sources to sustain our mission within the communities we serve. Like many for profit organizations, our non-profit organization has streamlined operations for efficient and productive activities in chase of our mission. Our tightly run core executive committee guides careful policies that are necessary and provide for accountability. Our dedicated employees, instructors, and staff efforts are unwavering as they see the effects of this poverty daily to which they work long and hard to carry out our mission. All of which give for this very same purpose either through financial means of employee donations or through in-kind efforts. Our educational environment represents a valuable and necessary balance between higher education and culture to elevate the future of students and community members in a productive and meaningful way for themselves and their families. 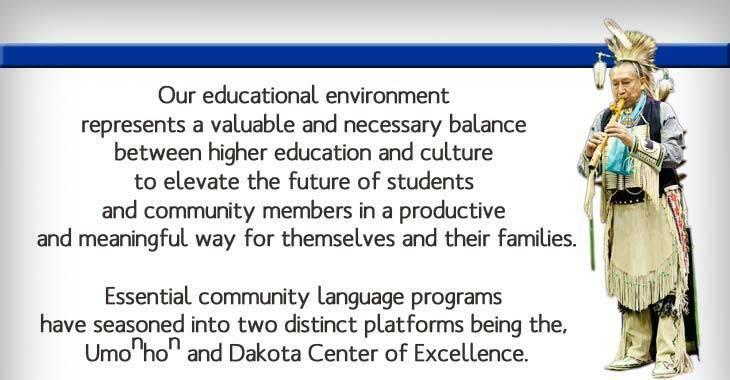 Essential community language programs have seasoned into two distinct platforms being the, Umonhon and Dakota Center of Excellence. 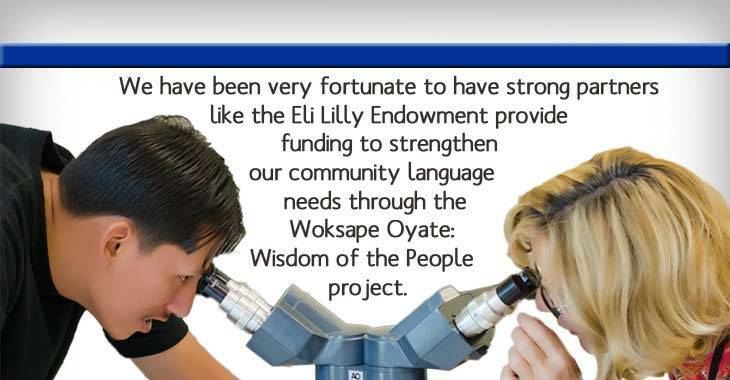 We have been very fortunate to have strong partners like the Eli Lilly Endowment provide funding to strengthen our community language needs through the Woksape Oyate: Wisdom of the People project. 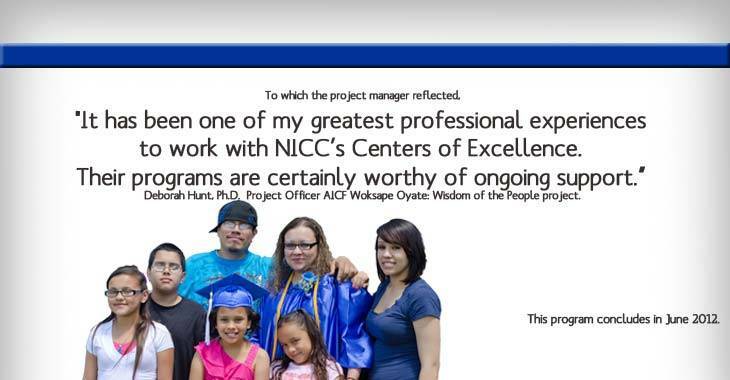 To which the project manager reflected, "It has been one of my greatest professional experiences to work with NICC’s Centers of Excellence. Their programs are certainly worthy of ongoing support.” Deborah Hunt, Ph.D. Project Officer AICF Woksape Oyate: Wisdom of the People project. Please include your contact information in order to receive a receipt, your wishes on how you’d like to be recognized, and information on how you would like your gift to be used. Nebraska Indian Community College is a public, non-profit organization. If you wish to donate to NICC, your donation is tax deductible. Our tax ID number is 47-0623553. For questions about donating to NICC, please call Shona Campbell, Grants Administrator at (402) 241-5470 or contact us via email.